Crossing the borders of the "digital divide"
“We’re too slow” is a phrase I often hear in the companies I’ve worked for. Too slow to launch. Too slow to execute. Too slow to beat the competitor. Too slow to gain market share, etc. In contrast to a typical 1-2 year development in launching products, I’ve been reading about this new concept introduced in class called “agile marketing.” It uses the methods of agile processes from software development applied to marketing management, particularly in digital and social media marketing — a new way of working between brand owners and their digital agencies. 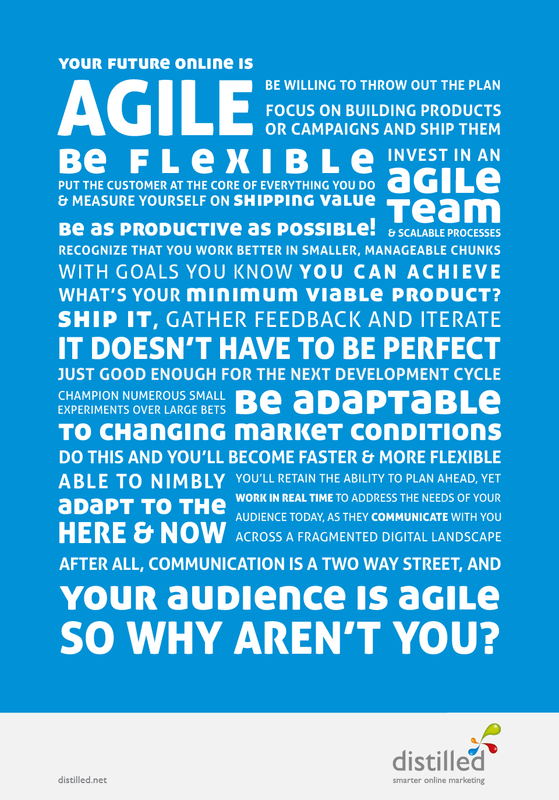 The word “agile” of course perfectly describes its key tenets: 1. Speed and 2. Flexibility in adapting to change. These descriptions remind me of the classic tale “The Tortoise and the Hare.” We know how the story ends (spoiler alert! 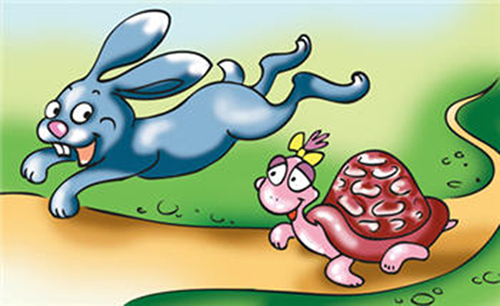 tortoise wins), except that in this case, the hare doesn’t sleep in the middle of the race and its every successive jump is a quick reaction towards a goal. The tortoise on the other hand can reflect the traditional method of working: slow and steady, making sure that every step is near perfection. Post-briefing, team is assembled from software developers, creative guys, and brand owners, based on the requirement. No more working in different departments (or silos), where transfer of project from one department only occurs after successful completion from that department. Updates of work-in-progress by the team can happen in the same room every day, and thus the decisions and directions taken tend to be swifter. Team comes up with small chunks of daily updates (that starts with very rough work), which vastly differs from agencies showing near-perfection photoshopped comprehensives that takes 2-3 weeks to do before the next client-agency meeting, which get tend to be re-worked on after a few weeks, before final approval. Decision needs to be taken for the “minimum viable” — what are the minimum requirements that the customers need to experience and most viable to do. Beta-testing for the minimum viable product that will still be improved from real-time user feedback. Thus, what takes 2-3 months from brief to campaign launch can now be done in almost 2-3 weeks. The result may not be perfect but it gets the job done — a web or mobile experience for the customer. This is the heart of the agile marketing method: putting the customer experience at the center of all work done and all decisions made. Transparency: The team updates itself of the project status every day. Less worries for either client or agency if the project’s direction is on the right track. Customer at center: All decisions revolve around the customer, with the minimum deliverable. 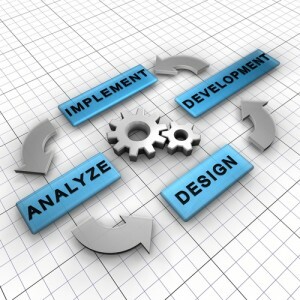 Thus, to make the process faster, agile methods remove the unnecessary features that may slow down development. Moreover, the team manager (or an assigned role in the team) strives to eliminate all blockages that can prevent the team from delivering the customer experience. Quick to adapt: Given the instant customer feedback, this method allows the team to develop enhancements or improvements as they go, because of the team’s non-heirarchical structure and working dynamics. Moreover, as the internet field changes rapidly (in days, not in years), so can you adapt your product as well. This method seems to work well for agencies and their client, but working within large matrix-like multinational organizations, can this method work as well? Ideally, yes, once interdepartmental structures and set processes and measurements are broken down, with ad hoc or task force teams that work together. However, realistically, this method won’t work for all kinds of internal projects; many industries require development time, such as auto industry, electronic goods, and packaged goods (food, personal care, etc), to name a few, while there may be general resistance to any process or organization change from top-down. Jonathon Colman’s page and video on Agile Marketing. Tags: agile, agile marketing, consumer, digital, ideation, marketing, social media, User Experience, ways of working. Bookmark the permalink.